Yes! Embroidery delivers. Yes! Delivers on quality, turn around, and Customer satisfaction. Here at Yes! Embroidery we love seeing ideas come to life. To ensure that our customer’s vision is created we make sure to only use the finest in embroidery technology available. We create hand drawn and digital renders of all artwork to ensure our customers receive the best quality work. We make sure to do testing on projects before the final run to be certain that the outcome is up to our company standards. We believe the customer has the final say. At Yes! the customer gives the go ahead aft­er approving the final mock up and then production begins. Here at Yes! Embroidery we wanted to simplify the process from idea to final result. With few steps, quick turn around, and beautiful work, our customers can expect to be thrilled with the results. 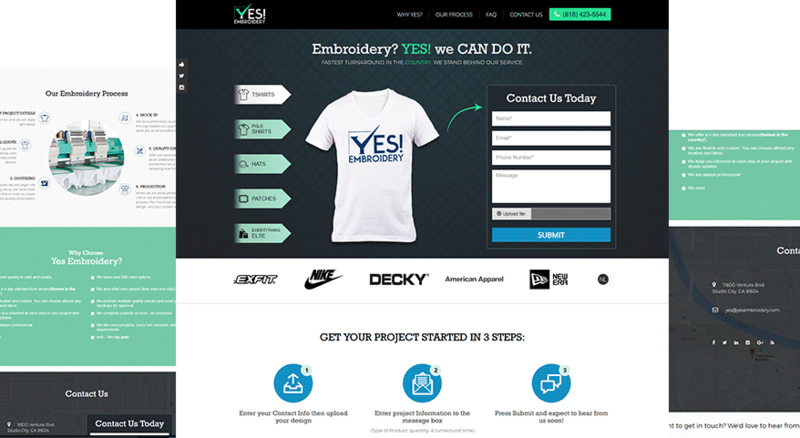 Falcon Marketing created the concept of Yes! 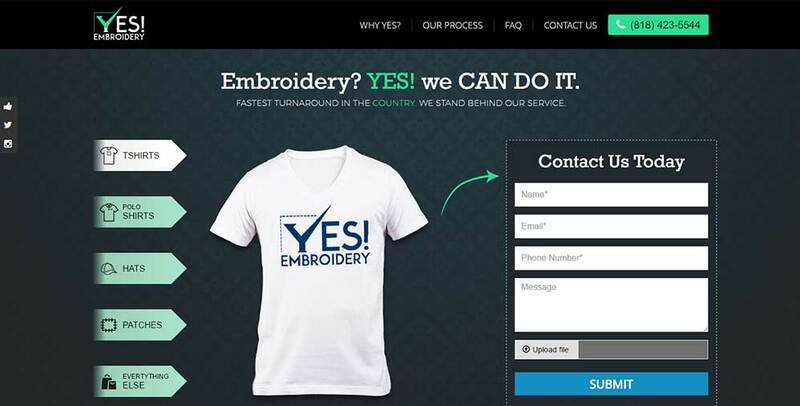 Embroidery’s website with the company’s ideals in mind. 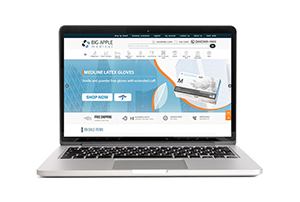 We wanted to make sure customers understood that they were only a few clicks away from getting a quote and that they could easily understand the company’s easy process. 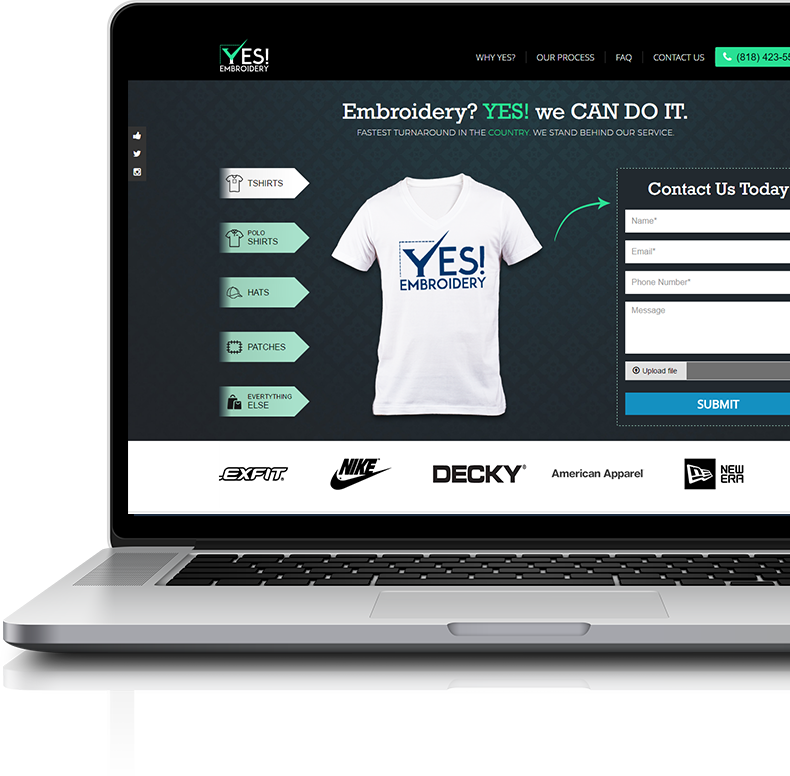 Right away customers can see examples of the different types of embroidery projects they specialize in and can then shoot a quick message with some details to get a quick quote for their project. The vision came to life and was launched in September of 2016. Already the company has seen a large increase in traffic on the site.